The Lime and Yellow in this shirt are wonderfully loud in person. 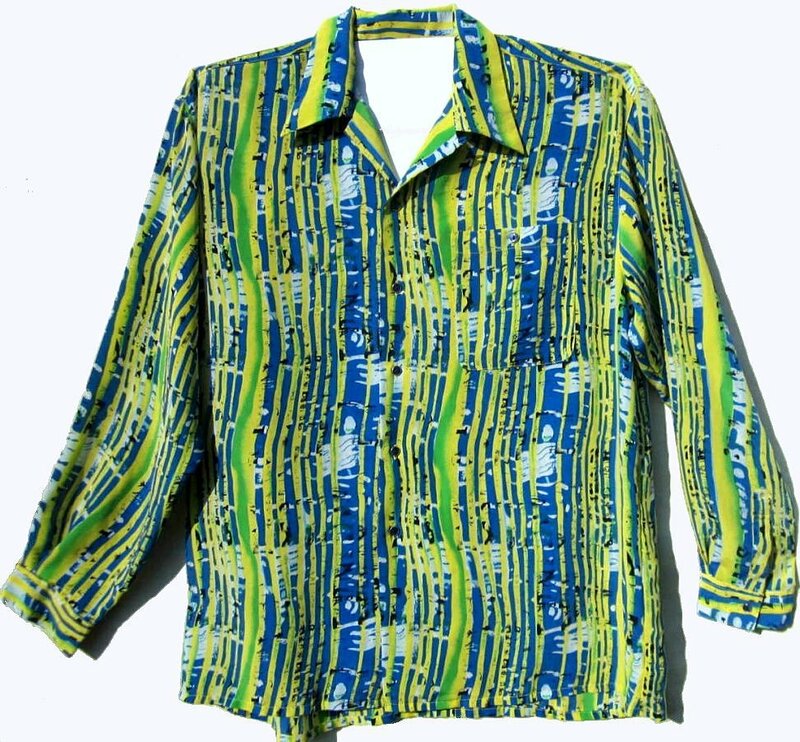 The shirt is made out of a light sturdy polyester, almost a poly crepe. It's light enough to wear in the summer. The colors are a very loud Lime, Yellow, Normal Periwinkle Blue, White and Black. The collar is wide and spread open. The shirt is a roomy XL, maybe 2x. It measures 52" around at the armpit level for a 46 - 48 fit. It is made well and can be machine washed inside out on gentle.